Join us once again at the 2016 Mohawk Valley Home Show! We will once again be participating in the Mohawk Valley Home Show! This year will be the shows third at the Jorgensen Athletic Center located on the MVCC Campus, but will be our seventh year being part of this great event. Make sure to stop by and check out some of the new products and many services that Stone Age Landscaping LLC will be showcasing this year. 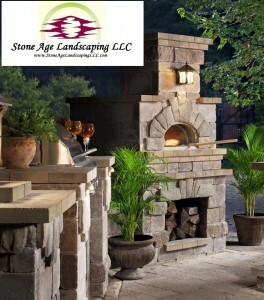 You can also sign up for a free estimate or ask us any questions regarding our industry! Click on the image to go to the website. We are also once again taking part in the Children’s Miracle Network Home Makeover and Giveaway! Stop over to their booth and purchase a $100 ticket for the home makeover and it will automatically put you in the running for the early bird giveaway. We will be donating an install of the Weston Fire Pit at our booth valued at $1000! LOCATION: Jorgensen Center on the MVCC Utica Campus off Sherman Drive. TICKET INFO: $5.00 per person. People under the age of 12 are FREE! We will also once again be cooking pizza and whatever else you’d like in the mobile Brick Oven Pizza Maker, thanks to Outdoor Living by Belgard. One of our guys will be near the entrance on Saturday meeting customers and showing off what a great addition to any backyard this element would be!